Private, preserve setting from this one story end unit residence. Bright and open 3 bedroom, 2 bath villa home. High ceilings. Beautiful kitchen with maple solid wood cabinetry, granite counter tops, and stainless appliances to include a gas stove.Crown molding and chair rail. Arched walkways. Remote control gas fireplace. Wood and tile flooring with brand NEW carpeting in the bedrooms. Screened patio overlooks the preserve...great spot to bird watch. Paver driveway, walkway, and sidewalks. 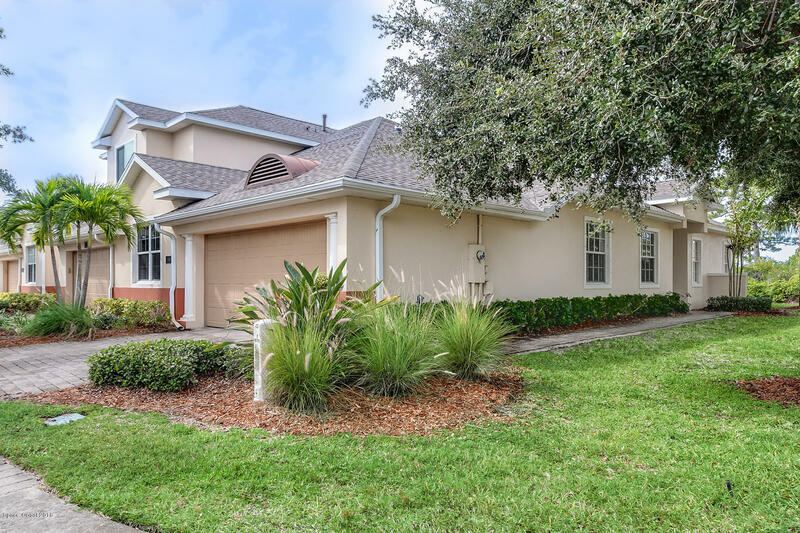 Situated in a desirable, gated community with resort style features: pool, club house, exercise room, tennis & racquetball court, bike/jogging path, fishing dock, and playground. You will have plenty of time to enjoy all the amenities and lifestyle as the outdoor maintenance is included in the HOA fee!